Today was a very good day to be a skier or snowboarder on the Pitztal Glacier, Austria. The highest ski lift in Austria at 3440m coupled with new snow and sunny, cold conditions meant the skiing on the Pitztal Glacier was some of the best of the season so far. The overnight snow was not as deep as some other deposits over the last couple of months but a solid 15-20cm and some drifting made for great powder skiing. The Pitztal Glacier offers some of the steeper glacier skiing around but generally the slopes are unbelievably wide and usually pretty gentle. The height of the glaciers often ensures superb snow conditions and that was certainly in evidence today. 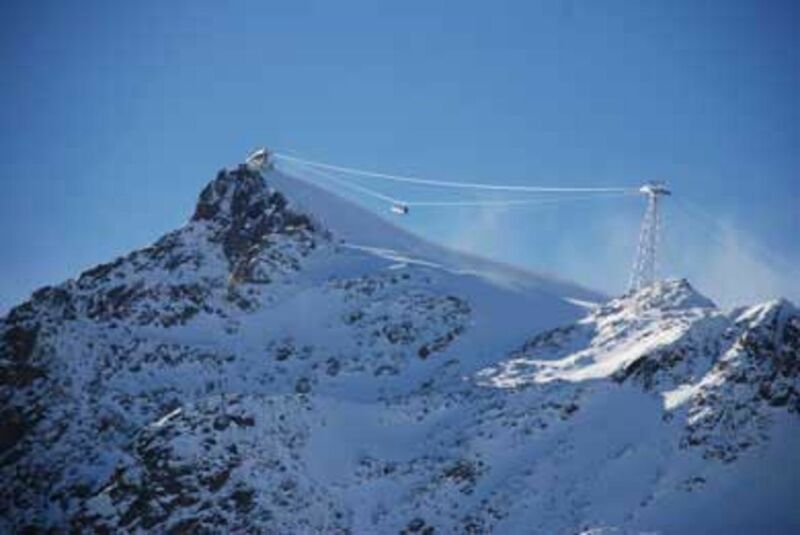 Another feature of the Pitztal Glacier are the upgrades to the lift system over the last few years with a long gondola and new chair replacing some less good ways of getting up the slopes. Snow is forecast down to 1000m tomorrow and then after a sunny weekend there is more snow due for early next week – all good if you ski or snowboard!